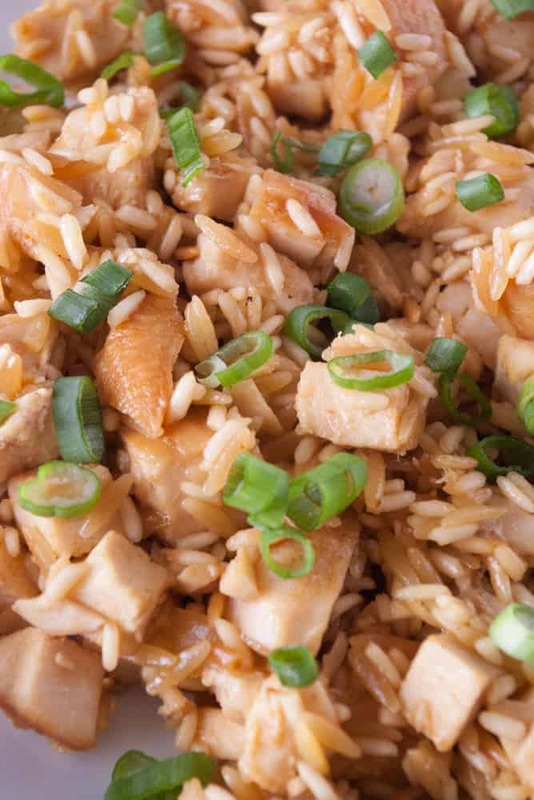 Add a kick to dinner with my one pan honey sriracha chicken and rice! Quick, easy and just the right amount of spicy heat. 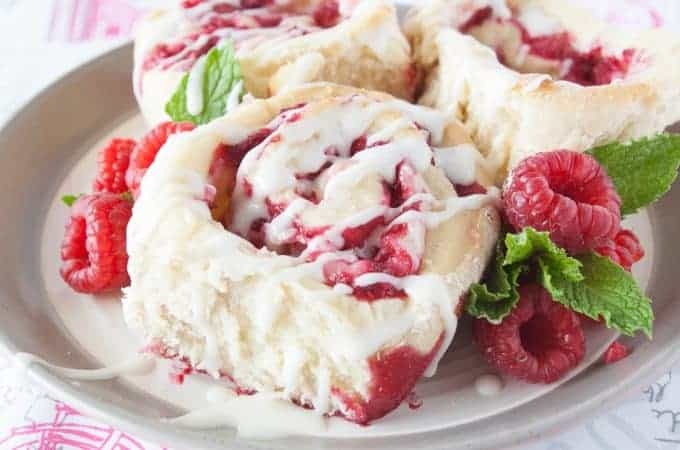 Are you looking for a new one pan dinner idea? Look no further! 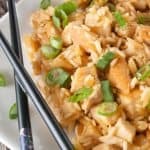 Try my Honey Sriracha Chicken and Rice! 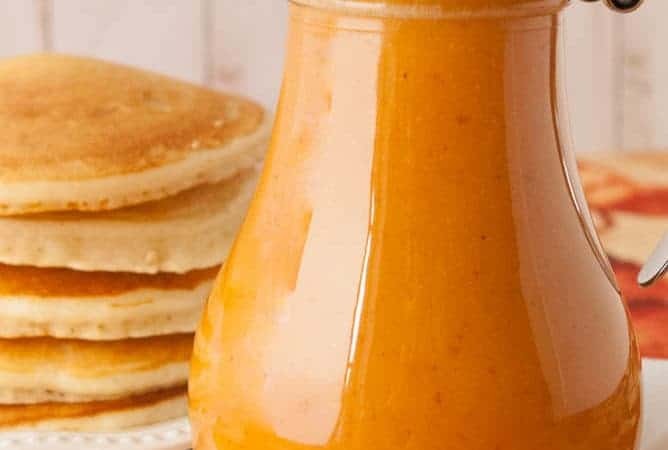 It is quick and easy to prepare and has that awesome sriracha kick to it. Don’t worry it isn’t too spicy hot for kids. I’m not a big fan of spicy hot foods. This dish is definitely more at the mild end of the spectrum. Then again, if you really love hot and spicy food you can always add more sriracha sauce to take it up a notch. In a frying pan over medium heat, melt the butter until it begins sizzling. 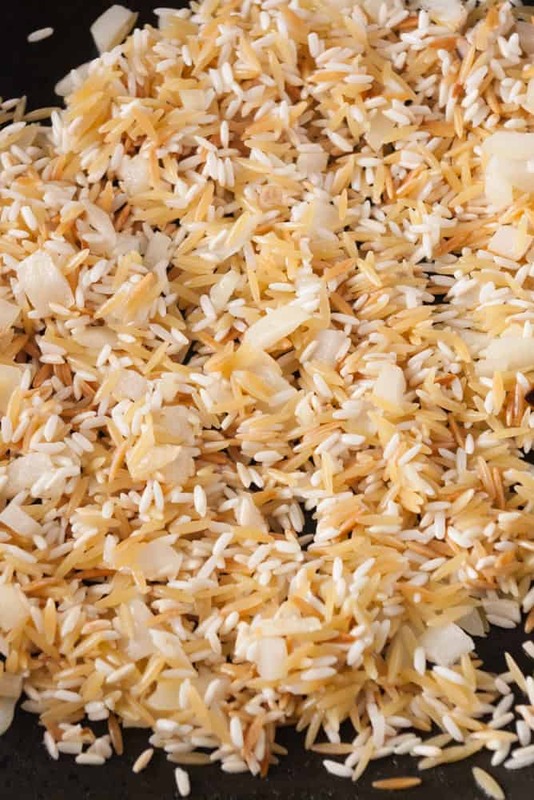 Add the rice, orzo and minced onions. Saute’ them with stirring constantly until the rice starts to turn golden brown. Add the chicken broth, turn the turn to medium low and simmer until all the broth is absorbed and the rice mixture is cooked through. While the rice is simmering mix up the honey sriracha sauce. Turn down the heat to low. 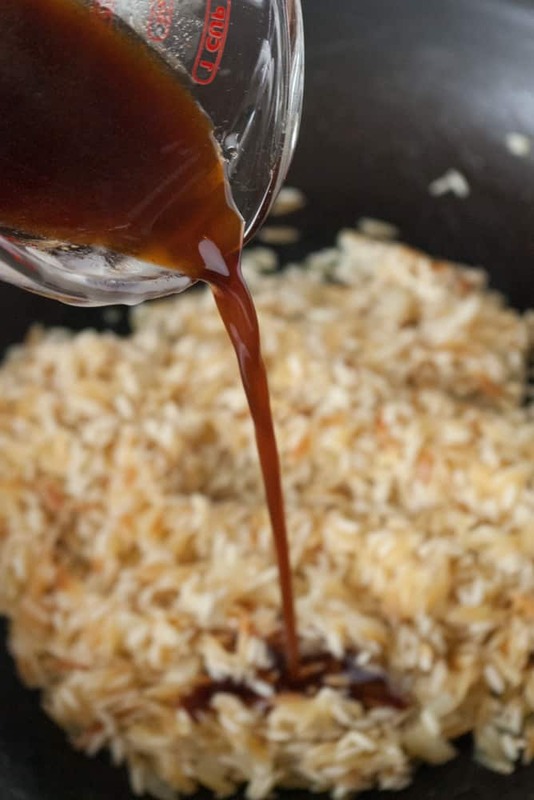 Pour the honey sriracha sauce over the cooked rice and mix well. Add 2 cups of cooked, chopped up chicken to the honey sriracha rice. Mix well and cook over low heat until the chicken is heated through. Serve. In a frying pan over medium high heat, melt the butter until it begins to sizzle. Add the orzo, rice, and onion. Stir constantly and saute’ in the butter until the rice begins to turn golden brown. 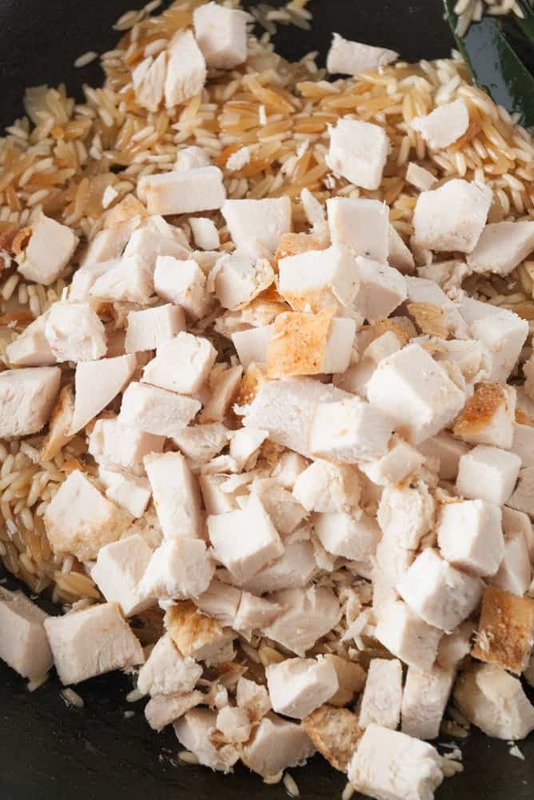 Turn the heat to medium low and simmer until the rice mixture is cooked through and has absorbed all the chicken broth. 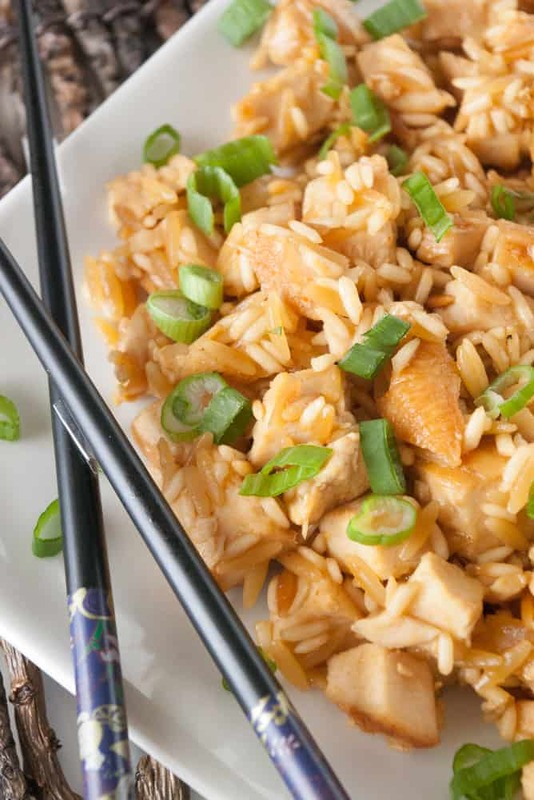 While the rice simmers whisk together all the honey sriracha sauce ingredients. When the rice is done, turn the heat to low and add the honey sriracha sauce. Mix well. Add the chicken, mix well and continue to cook over low heat until the chicken is heated through. Remove from heat and serve with chives if desired. If you want this to have more spicy heat to it just add more sriracha. of spice. I did add broccoli at the end with the chicken.